Would you like to know what happens behind the scenes of the largest tech conference? Become a volunteer at Codemotion Amsterdam 2018! Are you an IT student or a tech enthusiast? We want your talents, creativity, and insights to help us make Codemotion Amsterdam the greatest event it can possibly be. By volunteering, you can be at the very centre of this exciting event attending the tech talks delivered by the best speakers from all around the world! Sounds cool, doesn’t it? The selected room assistants will work at Kromhouthal on May 8-9 (08:00 – 18:00). Please note that each room assistant will be assigned to one of the rooms and will not be able to follow the talks that will take place in the other ones. Before the conference, we will organize a special meeting in order to provide you with all the necessary information. Ready to take up this challenge? 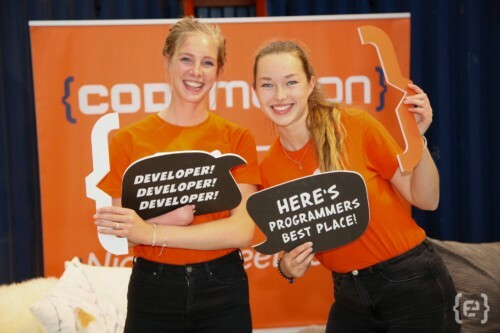 Apply now and join the Codemotion Amsterdam Team! * Important: please be informed that we will not be able to cover any travel or accommodation expenses.